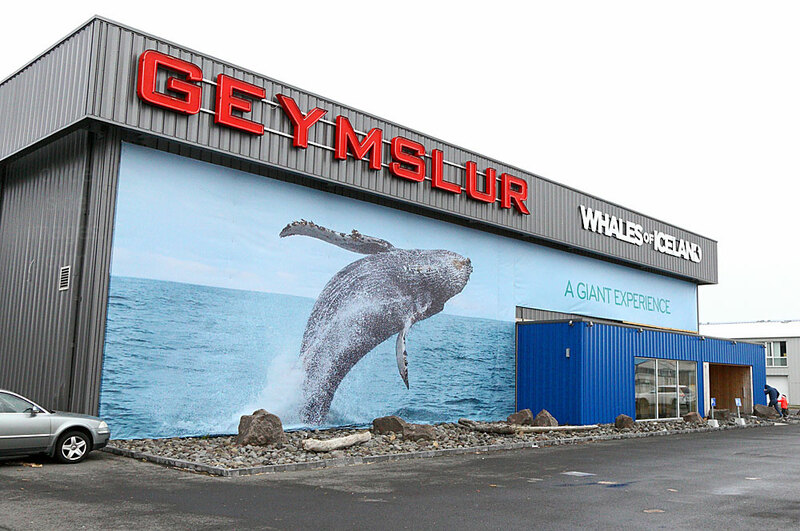 The Whales of Iceland exhibition is located near the Old Harbour in Reykjavik, just a short stroll from the Maritime Museum, and although the entrance fee is expensive (like most things in the country) I was pleasantly surprised with the presentation, and left with a real appreciation of the massive scale of some of these magnificent creatures. 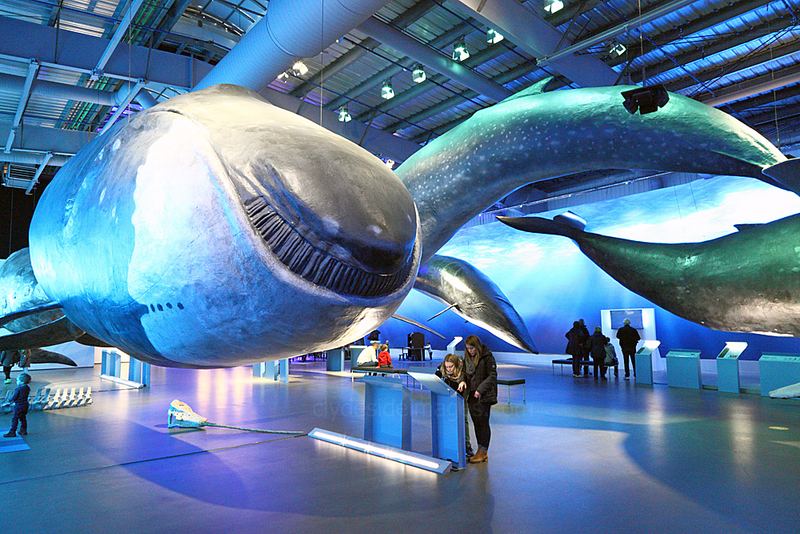 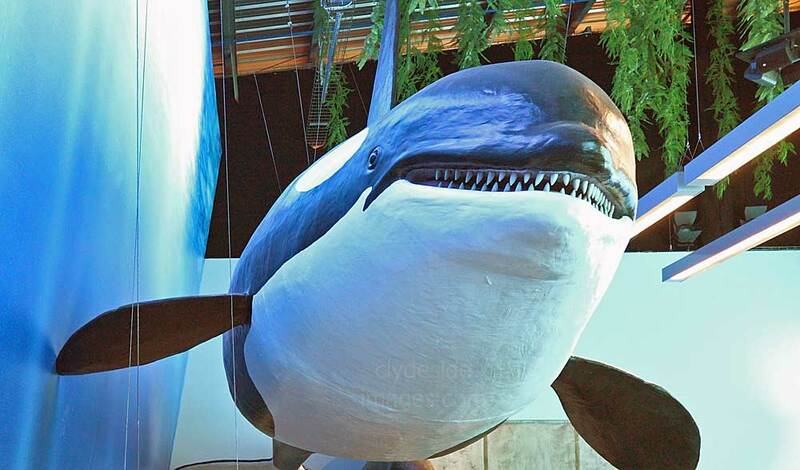 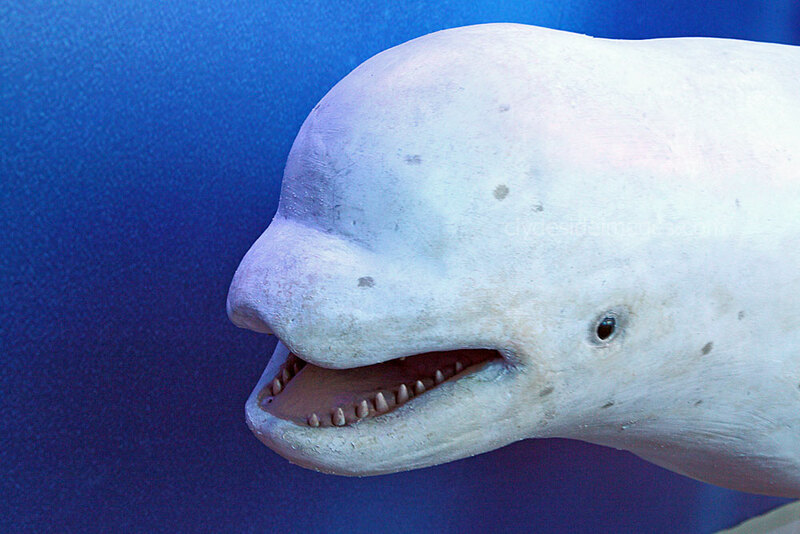 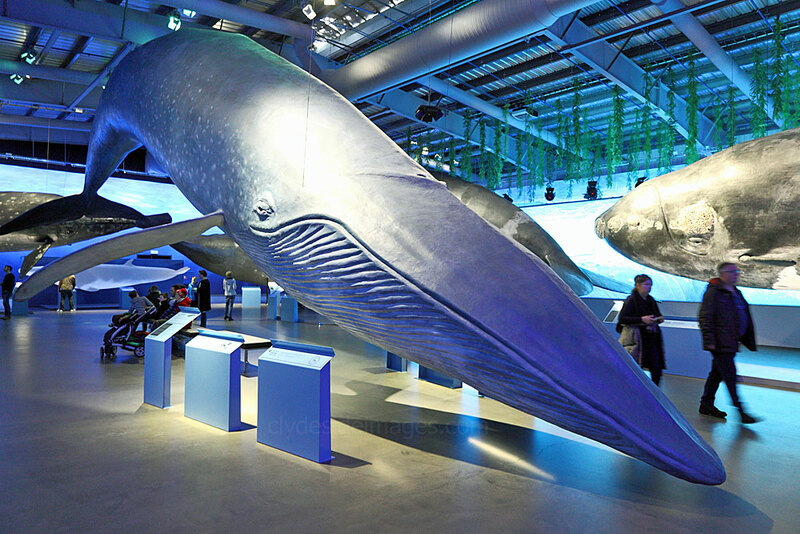 ​With whale watching tours bringing in a large amount of Iceland's tourism revenue, the idea behind the attraction is that visitors could encounter the real thing on an excursion, then come in and view the animals again, but this time from below as they walk along the 'ocean floor'. 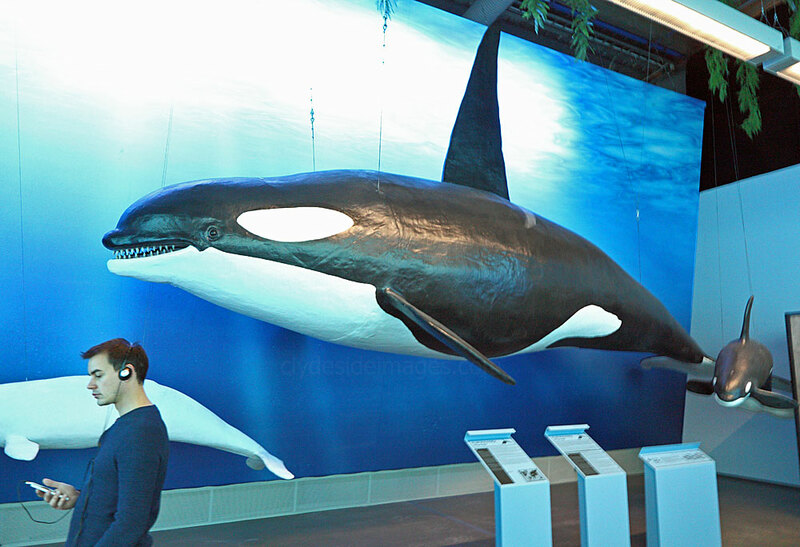 The dim blue lighting in the display hall adds to the illusion. 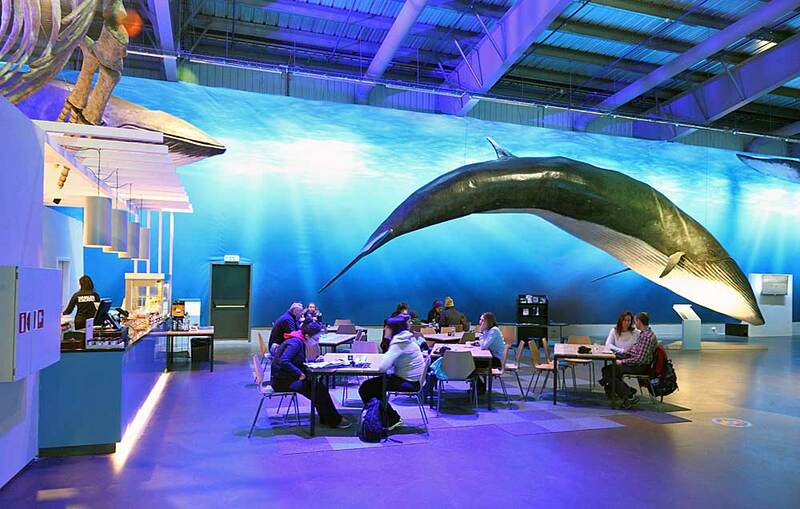 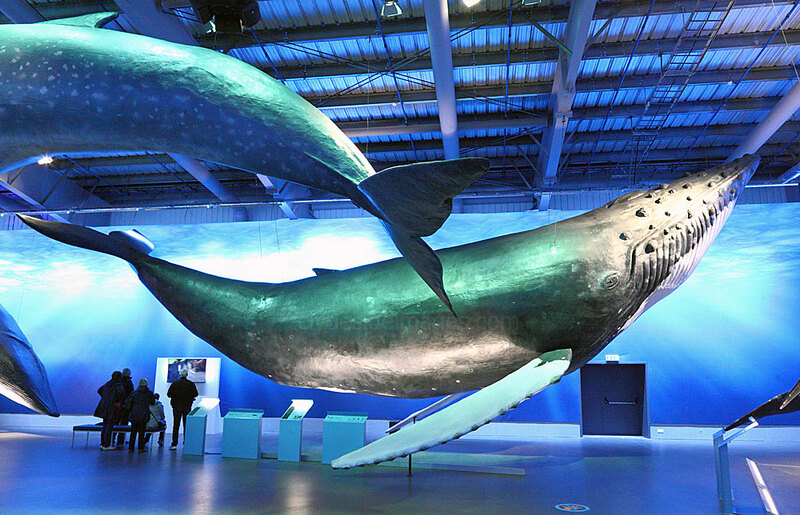 Replicas of whale skeletons are also featured and a lot of interesting information can be found on the interactive kiosks dotted around the exhibition area, or via one of the audio guides available at reception.